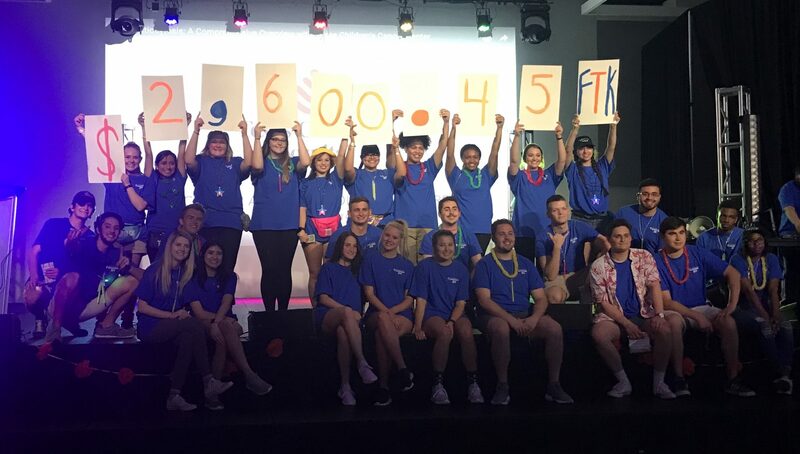 Through March 15-24, 27 collegiate and independent high school Dance Marathon programs hosted their annual events, resulting in a total of over $1.64 million raised #ForTheKids at local Children’s Miracle Network Hospitals! 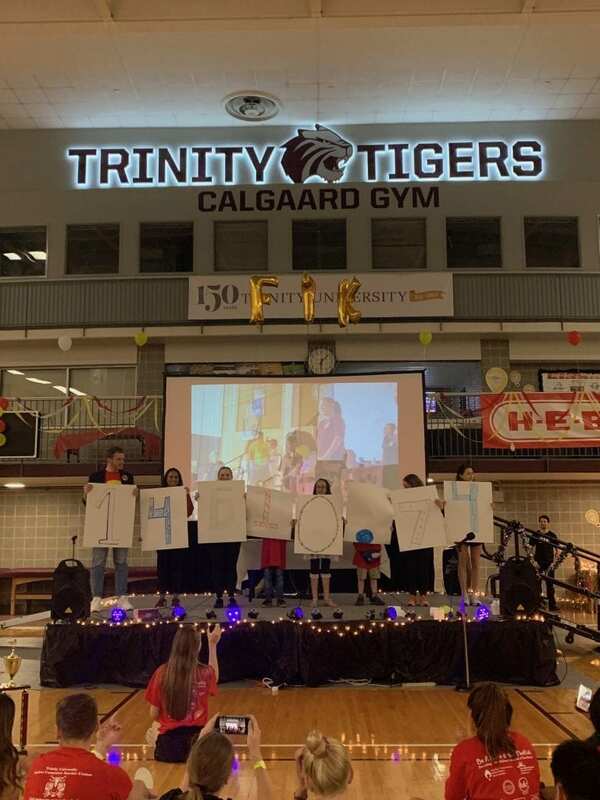 This brings the overall Miracle Network Dance Marathon fundraising total in 2019 to over $24.5 million–in just the first 2 and a half months of the year! Bruin Dance-a-thon benefits Johns Hopkins Children’s Center in Baltimore, Maryland. TitanTHON benefits Children’s Hospital of Orange County in Orange, California. Cedar Rapids Dance Marathon benefits the University of Iowa Stead Family Children’s Hospital in Iowa City, Iowa. TribeTHON benefits Children’s Hospital of the Kings Daughters in Norfolk, Virginia. Coral Springs High School benefits Nicklaus Children’s Hospital in Miami, Florida. Cypress Bay High School Dance Marathon benefits Nicklaus Children’s Hospital in Miami, Florida. PirateThon benefits James and Connie Maynard Children’s Hospital in Greenville, North Carolina. Congratulations and thank you to @piratethon_at_ecu for raising $15,379.19 FOR THE KIDS! Elmira College Dance Marathon benefits Arnot Ogden Medical Center in Elmira, New York. OwlThon benefits UF Health Shands Children’s Hospital in Gainesville, Florida. Yesterday was a day we will truly never forget. This past year, we united as a campus to create $247,870.42 miracles. We couldn’t have done this without all of the support from our donors, sponsors, dancers, and participants. Thank you to everyone who fought for this cause, for our kids, and for making an impact that will better the lives of those we benefit. Go Owls! PalaThon benefits Prisma Health Children’s Hospital – Upstate in Greenville, South Carolina. couldn’t have done it without y’all!!! INTRODUCING THE NEW PALATHON RECORD!!!! Zagathon benefits Sacred Heart Children’s Hospital in Spokane, Washington. I don’t think there are enough words in the English language to express how grateful we are for all of our sponsors, dancers, Morale Squad, Advisors and every single person who donated to our local children’s hospital! $82,583.19 is an insane, record-breaking number and it would not have been possible without all of YOU!! The only way to go is up! Can’t wait to see what happens at Zagathon 2020 ? Las Vegas High School Dance Marathon brings together high school students from across Clark County and benefits St. Rose Dominican Hospitals in Las Vegas, Nevada. Dance Marathon at MSD benefits Nicklaus Children’s Hospital in Miami, Florida. Mercer University Miracle benefits Children’s Hospital, Navicent Health in Macon, Georgia. $80,764.67. We have no words except a HUGE thank you for all our participants for coming out to Bearthon yesterday. We are so appreciative for everyone's hard work and dedication for the kids this year! QTHON benefits Connecticut Children’s Medical Center in Hartford Connecticut. Katathon benefits Texas Children’s Hospitals in Houston, Texas. St. Thomas Aquinas High School Dance Marathon benefits Nicklaus Children’s Hospital in Miami, Florida. Tiger Thon at Trinity University benefits Children’s Hospital of San Antonio in San Antonio, Texas. UIS Dance Marathon raised $3,000 benefitting HSHS St. John’s Children’s Hospital in Springfield, Illinois. The executive team would like to thank everyone for their support at yesterday’s Dance Marathon! ULM Dance Marathon benefits Arkansas Children’s Hospital in Little Rock, Arkansas. UMHB Heart of Gold Dance Marathon benefits the Baylor Scott & White McLane Children’s Hospital in Temple, Texas. We surpassed our goal and raised $10,622.28 for McLane Children’s Hospital. Thank you to all of our sponsors, volunteers, and donors. We could not have done it without you. Hope to see all of you next year! ArnieTHON benefits Boston Children’s Hospital in Boston, Massachusetts. Dance Marathon at the University of Michigan benefits Beaumont Children’s Hospital and the C.S. Mott Children’s Hospital. $256,162.97 For The Kids? New for this year, this number now reflects every dollar we will donate after all of our expenses. Thank you to everybody who supported us and made this possible! UNLV Rebel Dance Marathon benefits St. Rose Dominican Hospitals in Las Vegas, Nevada. LoboTHON benefits UNM Children’s Hospitals in Albuquerque, New Mexico. $103,408.42 FTK. Thank you to every single dancer that came out to Dance Marathon today, we could not have done it without everyone’s endless support! #powerofoneFTK always ? UWF Dance Marathon benefits The Studer Family Children’s Hospital at Sacred Heart in Pensacola, Florida. Thank you to everyone that donated and came out today! Thanks to all of your hard work and generosity we were able to raise $55,261.02 this year! On behalf of all of our Executive Board Members and Morale Captains, thank you to everyone for all their hard work and for making this happen. Only 365 more days until the next Dance Marathon! Upper Iowa University Dance Marathon benefits the University of Iowa Stead Family Children’s Hospital in Iowa City, Iowa.